To support you to achieve well-being, you are able to make decisions about your care in partnership with professionals. To help you to do so, you will have easy access to information and advice about what is available in your area. 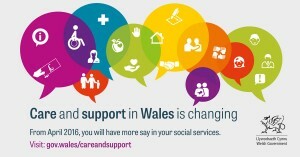 A new assessment process for care and support has been introduced and is based on what matters to you as an individual. It considers your personal strengths and the support available to you from your family, friends and others in the community. The Act also calls for the provision of more services to prevent problems getting worse, so the right help is available when you need it. 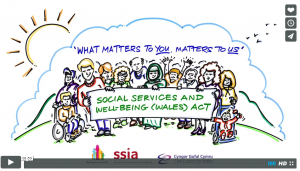 This useful animation, which summarises the Act’s key principles and gives examples of the types of changes the Act has introduced.